Metro Manila (CNN Philippines) — A Saudia Airlines flight has been placed in an isolation area at the Ninoy Aquino International Airport (NAIA) on Tuesday. The MIAA and the Philippine National Aviation Security Group are now on site with the aircraft. The MIAA also said Saudia Airlines executives are at the scene. Speaking to CNN Philippines Senior Correspondent Pia Hontiveros, Saudia SV872 passenger Engr. Dimasira Macabando said their flight landed at 2 p.m., but that the passengers are being kept inside the aircraft. Macabando said the pilot told them that the police will board the plane to inspect their passports. He said everything seemed “very normal” in the flight, but that they got news reports from outside that their plane had been hijacked. While speaking to Hontiveros, Macabando said passengers at the front of the plane were allowed to disembark and that they are waiting to leave the plane, as well. MIAA General Manager Eddie Monreal said in a press briefing that the distress call was a “pilot mistake.” Despite this, he said the plane’s passengers and their cargo will be inspected. Monreal also said the pilot will be investigated. 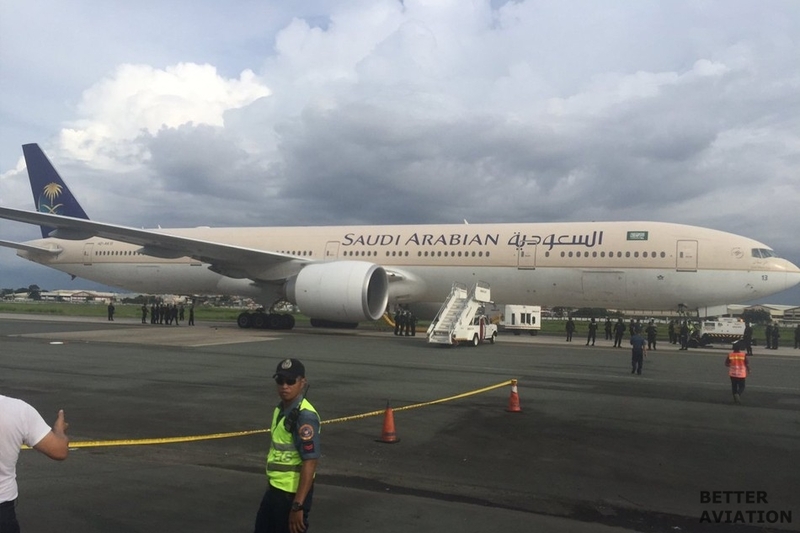 A Saudia Airlines commercial flight has been placed in isolation at a Ninoy Aquino International Airport (NAIA) runway Tuesday, with police anti-hijacking operatives seen in the area. Saudia Airlines flight SVA 872 from Jeddah landed at 3:00 pm at NAIA and was placed in total isolation at a secluded portion of runway 06. Initial reports showed that the Manila International Airport Authority (MIAA) Emergency Services Department received an advise from the Manila control tower that the flight was under threat, 20 miles before the jet landed at the airport. MIAA, with the Philippine National Police Aviation Security Group, are already at the site, with aircraft on standby. Saudia Airline Executives are also on site, pending confirmation of the reported threat.